Pink Heart String: Why are Fitted Wardrobes Such Effective Space Saving Solutions? Why are Fitted Wardrobes Such Effective Space Saving Solutions? One thing that we moms always look after is the cleanliness and orderliness of our homes. Clutter is our number one enemy especially in the bedroom. That is why, we have wardrobes to keep everything in order. With a big wardrobe, our stuffs are all organized and are hidden from sight. Today, we have a guest post about fitted wardrobes which are a great solution to save space and eliminate clutter too. The solution for a cluttered home may not be to throw away items, but to make more space for them. Fitted wardrobes are built-in wardrobes that are measured to fit any space in your home. They can act as a clothing closet or a general storage area. Fitted wardrobes are unique in that their purpose is disguised. Behind a set of panelled doors, they discreetly hold your belongings. Not only that, fitted wardrobes are visually pleasing to look at. They can be customized to your personality, or the style of the room they are placed in. With so many storage options, a stranger to fitted wardrobes may ask, “Why are fitted wardrobes such effective space saving solutions?” The answer to that is...look at all they do. Fitted wardrobes have a number of storage layouts that allow you to make the most out of your wardrobe. Depending on what is being stored, shelving, baskets, drawers, and rods can be added to the interior. This is a unique and useful feature of fitted wardrobes that storage cubes, racks, and bookshelves do not offer. Those who organize know that certain arrangements are more useful than others. Fitted wardrobes are conscious of that fact. By customizing the inside of your wardrobe, every space can be utilized fully. 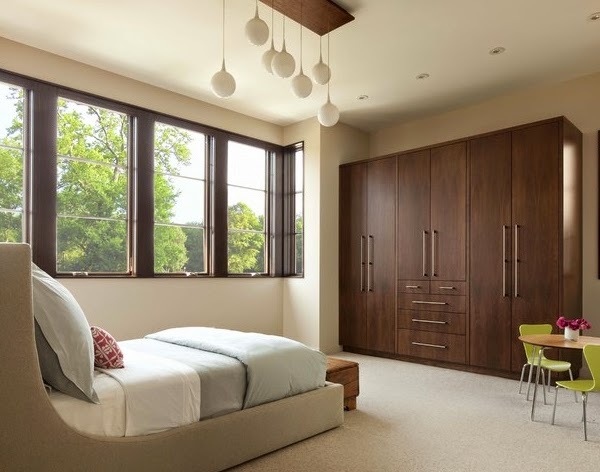 Since fitted wardrobes can be tailored to your needs, they are functional in any room. One that is installed into a bedroom can hold clothing, shoes, and accessories. The layout for this purpose would likely include rods to accommodate hangers, drawers for clothes, racks for shoes, and an open space for any additional items. A fitted wardrobe in a living room is going to have a different design. For example, shelves would be more practical than rods. The size of a living room wardrobe may also be smaller than one for a bedroom. All of these details are customizable, which makes fitted wardrobes extremely versatile. But, that is not the only answer to the question, "Why are fitted wardrobes such effective space saving solutions?" While bins and shelves are often used for storage, these options display your belongings. With fitted wardrobes, your treasures are hidden behind sliding doors. In this way, they not only store, but conceal. Most would agree, it can be visually exhausting to see the things you own each time you enter a room, especially items that are not used regularly. Install a fitted wardrobe and forget about the carpet steamer or box of candles until you are ready to use them. In addition to being discreet, fitted wardrobes can be made stylish. The doors on the wardrobe can include panels decorated with wood, colored glass, or mirrors. The number panels and the style of them may be fashioned to complement your room, or reflect your personality. Also, if you are considering renovation, a fitted wardrobe with two mirrored panels is a simple way to give any room a new look. 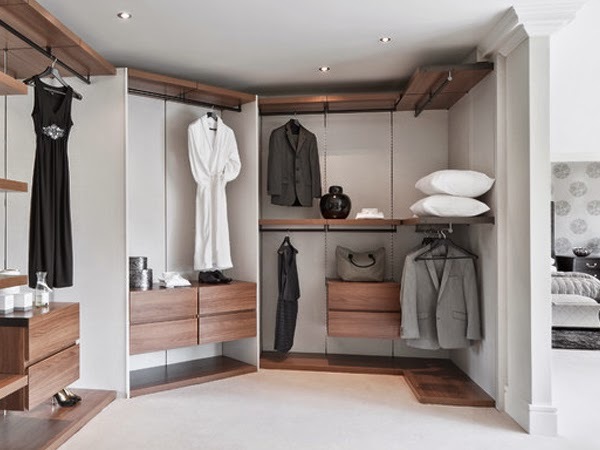 Fitted wardrobes allow you to have the appearance of a more minimal lifestyle, while keeping the things you own. Companies like SKON Design offer completely customizable designs that enable you to store more than typical storage options. No area of space is wasted with a fitted wardrobe, and they can be used in any area. Whether in a bedroom, laundry room, or living room, fitted wardrobes are functional and ideal. With no other option can you make the most of your available space and utilize every inch in such an attractive and minimal way. So, to those who wonder, "Why are fitted wardrobes such effective space saving solutions?" The answer is obvious. Look at all they do. I've been looking for ways to save space in my little home. I think you're right we need to fit our furnishings in our homes and not just buy pre-arranged ones.